Becoming a parent for the first time is an amazing milestone. It is one that only a few years ago, Hubby and I didn't think would happen for us. 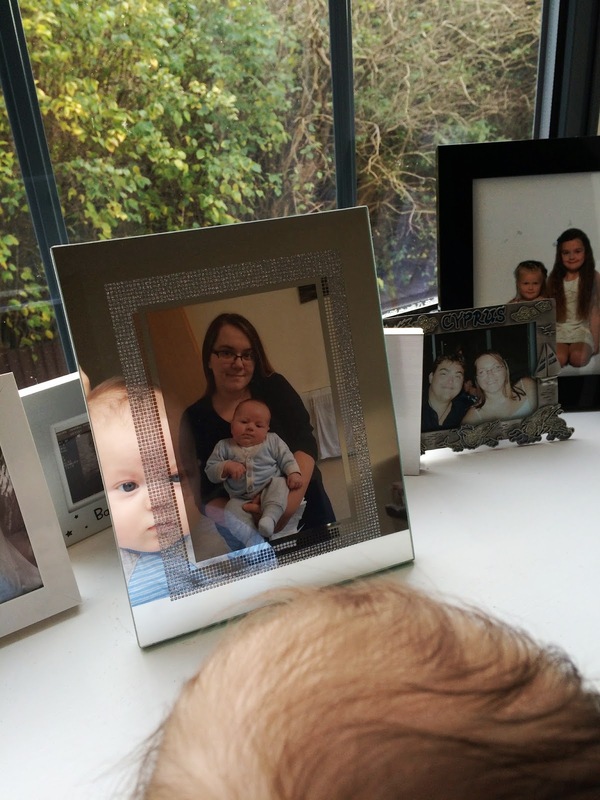 We thought we'd never be able to afford to have a baby, after Luke was made redundant twice in a row and has had to work for agencies over and over. So, we are very grateful to become parents and have a lovely little boy - but it has definitely changed us! But it's not just us that has changed - our home has too! Less storage space - we live in a small, 2 bedroom apartment so we had to cut one wardrobe in order to fit Jake's furniture in. This has been tough! But, we've been able to compensate by having a good clear out and donating to the British Heart Foundation and Kemp Hospice. More clutter - we seem to be creating 'piles of things' everywhere. Mainly our things, like clothes and linen for Jake. We also seem to be creating piles of toys, but I bought a faux leather tidy box from Wilkinsons to keep them tidy. More photos - we now have plenty of photos on the wall. They are almost all of Jake, but our wedding photo canvas remains. Less TV & film - we barely watch anything now, and certainly not when it airs live. Everything we watch is recorded on Sky+ or on bluray (and watched in chunks). You know what? I wouldn't have it any other way - he's a beautiful addition to our home; he makes it complete. Haha!! It constantly looks like a baby-stuff Bonn has gone off; never tidy! !